A life-changing sports injury felt like the end to Destin Julian. A high school athlete, he envisioned a future for himself that involved a competitive college playing career. But a severe concussion he suffered on the football field left his hopes dashed. As if the disappointment wasn’t enough, he had no real direction for channeling his energy toward other pursuits. “For a second, I was kind of down about it,” he says. A stylish young man, Destin could do well in fashion, his father suggested. Their conversation inspired Destin to form the clothing line. Despite ongoing physical challenges related to his head injury, a newfound love of creating slick urban wear has given him an optimistic outlook. “I think he saw the fashion in me because I like to dress,” Destin, 19, says of his dad. Another parent played her part, too. Destin and his mother enjoy shopping together and putting their own style imprints on what they wear, so the process of creating a look others found appealing came naturally. 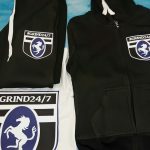 Combining his logo with phrases like “On the Grind 24/7,” he designs images for sweat suits, hoodies, t-shirts, hats and jackets, also customizing fabrics. 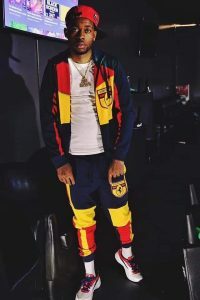 “It’s not only a brand, it’s a movement to help him overcome what he’s been through,” says Dawn Harriston, Destin’s aunt, who acts as his business manager. Fans love the gritty “make it work” attitude of the Grind 24/7 Clothing line. He still suffers seizures and sees a neurologist, along with undergoing therapy for depression related to the football injury. Destin is a litigant in the ongoing lawsuit related to his injury, but he hasn’t let the difficulty of one bad experience consume his focus. 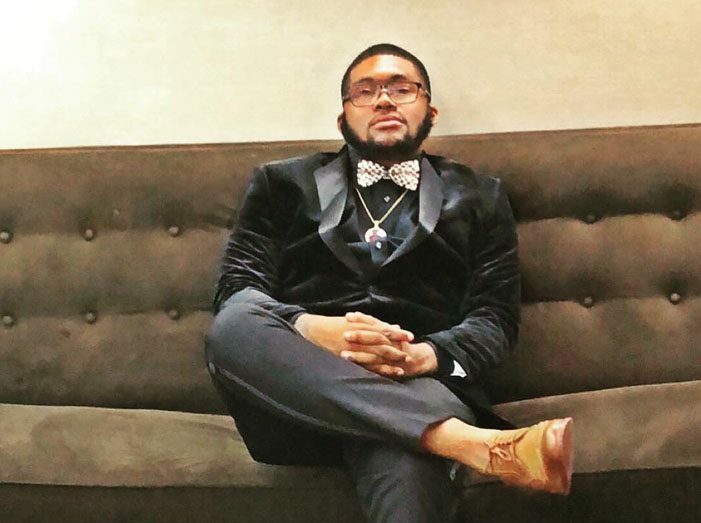 He enrolled at Mott Community College where he studies business management. But before starting at Mott, he used money received in the form of gifts at an open house after graduating high school to launch the fashion line. With help from his dad, he began operating a clothing press out of their home. A trip to the mall to buy some items he customized for himself and friends was the first move that began Grind 24/7’s exposure to the public. Destin and his group wore their outfits to a basketball game, where they noted positive reactions. He soon expanded to designing “bubble jackets,” a style of thick, puffy material in coats, usually worn during the fall. Since his early designs, he’s continued experimenting with creative updates to the Grind 24/7 logo. Destin particularly enjoys getting requests from customers who contact him to customize shoes or jeans, and watching their excited responses to seeing his work. “It’s like they’re going to school for picture day,” he says. 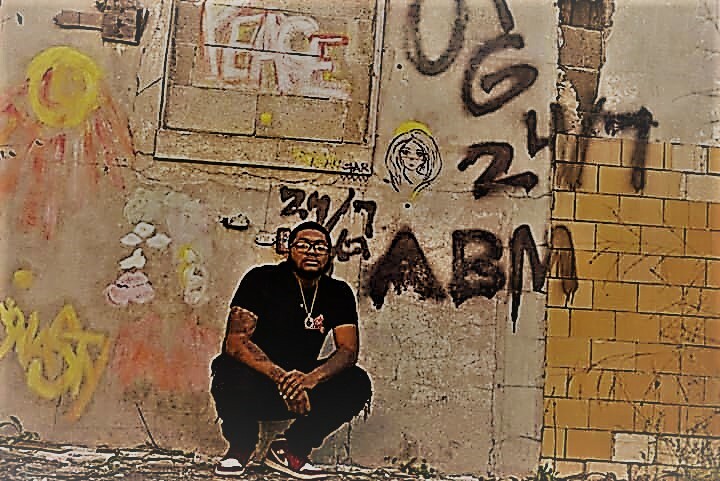 He recently participated in his first fashion show, themed “Shine Bright Like a Diamond,” walking the runway with several other models in Grind 24/7 gear. “That was a proud moment for him and a proud moment for the entire family,” says Harriston. Destin’s line will be featured again in the“This Is Me” fashion show at 4 p.m. Dec. 16 at Mott Community College. He says the show’s organizer, Tracey Palmer, has become a mentor to him. “I wanted people to see this is what I had going, this is what I want to see people wearing, and I’m putting it out there,” he says. 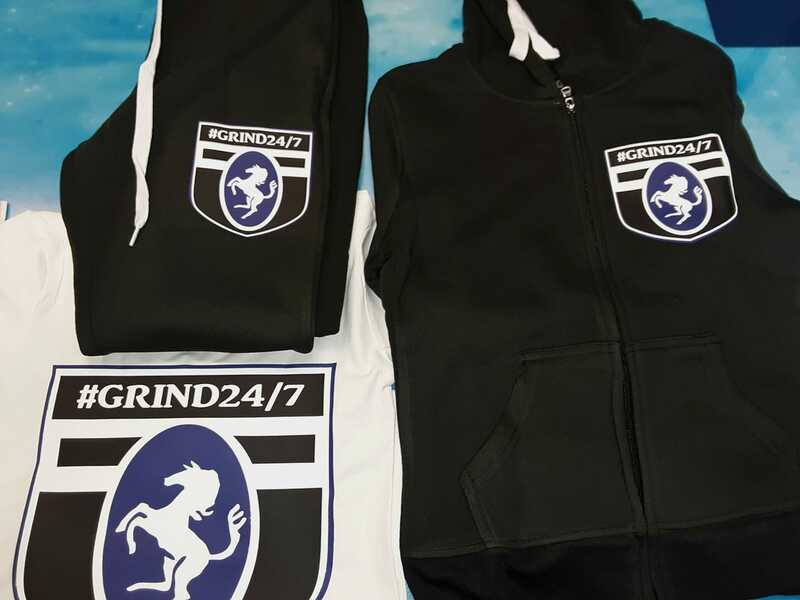 For more information about Grind 24/7 clothing visit the Instagram page @_grind247_ or the Grind 24/7 Facebook page. For more information on the “This is Me” fashion show taking place on Sunday, Dec. 16 at 4 p.m. at Mott Community College visit the event page.